Batting Pads fit for a king! Whether you face 95mph speedsters or 40mph dobblers we have the equipment to protect you whilst you score the runs! 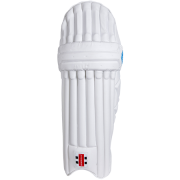 All Rounder Cricket has some of the lightest batting pads on the market, items that will help complete your game. We only stock the finest pads which professionals around the world use in the county and international game. We pride ourselves on offering a wide mixture of pads ranging from players who are starting our at Senior or Junior level to mid range and up to Professional level. 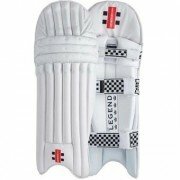 Whatever your standard of cricket, All Rounder has a pair of batting pads for you! With such a wide range of batting pads, with a style, colour and performance standard that caters for amateur cricketers up to the professional cricketer! 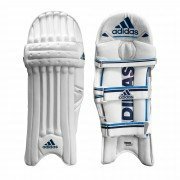 Adidas Batting Pads, Aero Batting Clads, Gray Nicolls Batting Pads, Gunn and Moore Batting Pads, Kippax Batting Pads, Kookaburra Batting Pads, New Balance Batting Pads, Puma Batting Pads, Slazenger Batting Pads and Spartan Batting Pads. All available to buy with our fantastic customer service here at All Rounder Cricket Store.